The bipartisan budget agreement passed last week by Congress won praise from APA for its inclusion of funding for many mental health, substance use, and criminal justice programs that will benefit millions of Americans living with serious mental and substance use disorders. APA had lobbied hard on many of these issues for months leading up to the vote. Among the major provisions of the legislation is an extension of the Children’s Health Insurance Program through 2028, marking the longest reauthorization in the program’s history. CHIP is a federal-state partnership that provides comprehensive health insurance coverage for children whose families earn too much to qualify for Medicaid but not enough to afford private insurance. CHIP insures 9 million children, including 850,000 with serious behavioral or emotional disorders. $6 billion to help fight the nation’s opioid epidemic, primarily through state grants that expand substance abuse and mental health treatment. In addition, $2 billion has been earmarked over the next two years to support research at the National Institutes of Health, including its study of nonopioid pain therapies. Two-year reauthorizations of funding for the community health centers; the National Health Service Corps, which provides student loan forgiveness to health professionals who work in rural or underserved areas; and the Teaching Health Center Graduate Medical Education Program. These all provide critical health-related resources to vulnerable communities. 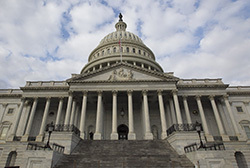 Technical corrections related to the Medicare Access and CHIP Reauthorization Act (MACRA), which will help ease regulatory burdens faced by physicians. Additional funding for Department of Veterans Affairs hospitals and clinics. Funding that will improve access to telehealth services by Medicare Advantage enrollees. Detailed information on the budget agreement will appear in the March 2 issue of Psychiatric News.